Senior lawyers from Allen & Overy (A&O) and US outfit O’Melveny & Myers met at a plush five-star hotel in Frankfurt yesterday as discussions over a possible transatlantic merger between the duo gather momentum. If given the go-ahead, the tie-up would create a new global law firm with over 3,000 lawyers and combined revenues north of £2 billion. It has now been reported that Bradley J. Butwin, O’Melveny’s chairman, was part of a group of lawyers from the Los Angeles-headquartered outfit that flew into Germany this week to hold further talks with A&O representatives. 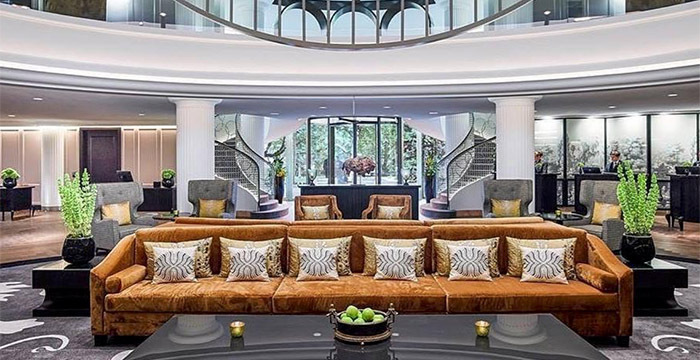 According to Legal Week (£), yesterday’s meeting took place at the plush five-star Sofitel Frankfurt Opera hotel. The Frankfurt meeting comes on the back of a strong set of financials for A&O. Profit per equity partner (PEP) at the magic circle player jumped by 4% to £1.64 million, while revenues rose steadily to £1.57 billion. Net income hit £690 million, an uplift of 3%. Alan has ovaries and a Frankfurter????? I think they were top lawyers, not just senior. Ahaha keep dreaming. Neither firm can afford the Cravath scale pre-merger, so why would the merger make any difference? Wrong. A&O and other white shoe firms have already matched Cravat scale. In the US… pretty sure anon at 10:57 was talking about UK pay. not in London they haven’t. This post gave me aids. I hear the management at DWF are fuming that this US law firm chose A&O. All DWF wants is to be another Womble. Stfu man, we’ve now got branded puffa vests and golf balls, we’re global!!!! But have you seen ours? How is Great Uncle Bulgaria these days? Most mergers involving UK and American firms have compliance issues due to restrictions over who is eligible to have ownership founded in regulations in the US. A&O should merge with Greenberg Glusker, top firm. A&O should stay as they are. Mergers tend to be used to camouflage a lack of organic growth. in a business where the raw material is people’s time and the advice delivered is largely indistinguishable between the suppliers and where cilent relationships stick with people not the firm, the only you do grow fast enough to outpace inflation is to buy the growth or to join forces. Wachtell, Lipton, Rosen, Slaughter and May. It has a post on the merger! Thanks for the link. Interesting blog. I think CMS is a better firm. Loads of offices. More offices = more money. It does. More offices will probably mean more money, not necessarily more profit. Top top firm.